and support the Navesink PTA! Grab your friends and join us for a great night of delicious wines and hors d’oeuvres then stock up on your favorite wine for the holidays at the Nicholas Wine Event Fundraiser. This Friday, Nov. 17th 7:00-9:00 at Restaurant Nicholas. Tickets are $50 each and 100% of all ticket sales and 10% of all wine sales will go back to the Navesink PTA. Call today to purchase tickets 732-345-9977. Just reference the Navesink PTA Fundraiser. Can't make the event? 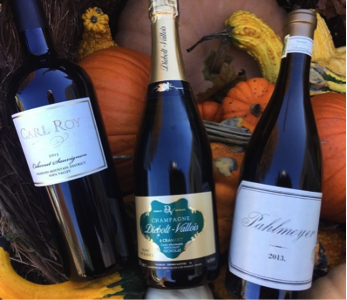 Follow this link to buy wine by noon on Nov. 17th so you can still get great wine for the holidays & 10% of all purchases will be donated to Navesink Elementary School. Nicholas Wines offers FREE Local Delivery and delivery throughout Monmouth County.